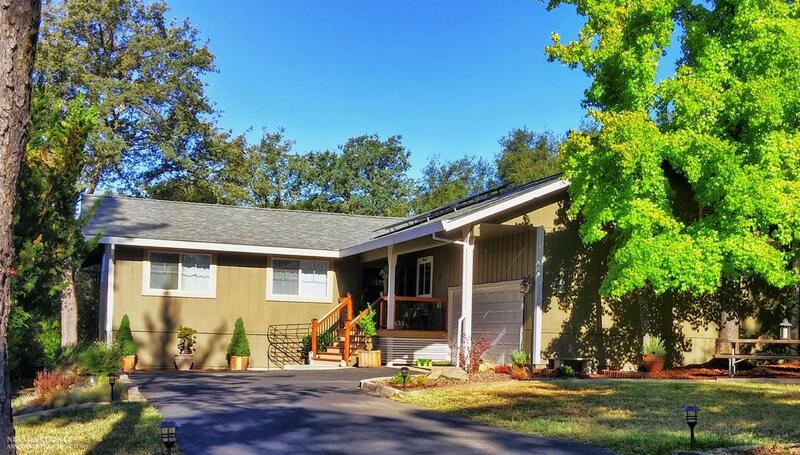 New Listing – 18048 Jayhawk Dr. Fully renovated, single level home in a quiet, desirable Lake Wildwood neighborhood with level driveway/front yard, private rear deck & yard, open floor plan, 3br/2ba + Den w/double French doors & attached 2-car garage. Designer upgrades w/exceptional attention to detail, incl. 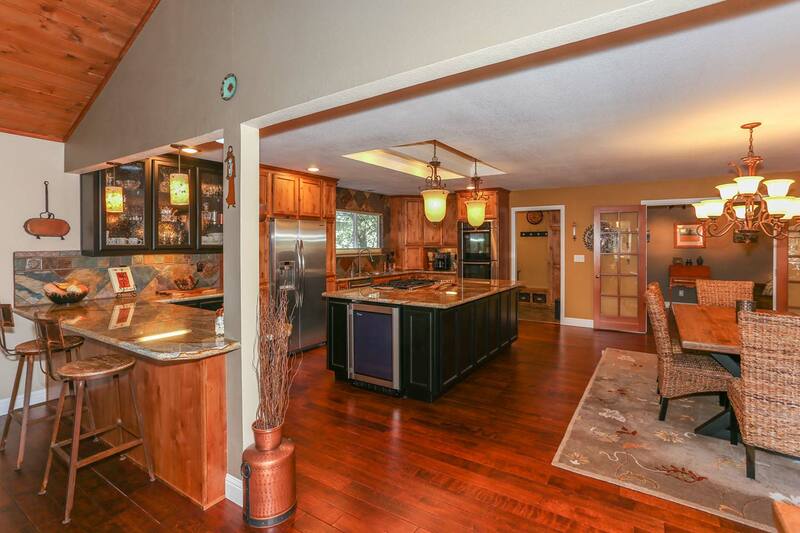 custom alder cabinets plus engineered hardwood and tile floors throughout. 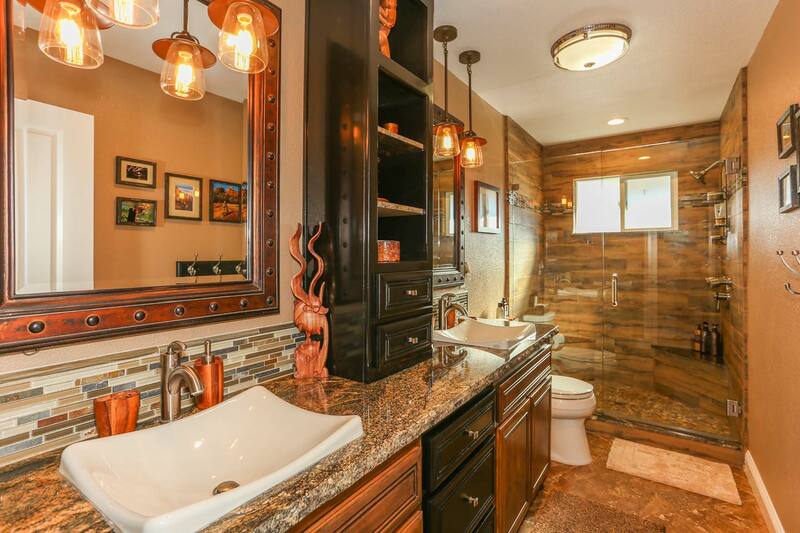 Home features beautiful bathrooms and spacious gourmet kitchen w/Bosch appliances, gorgeous granite counters, island w/wine fridge & 5-burner gas cook-top, bar counter & double ovens. 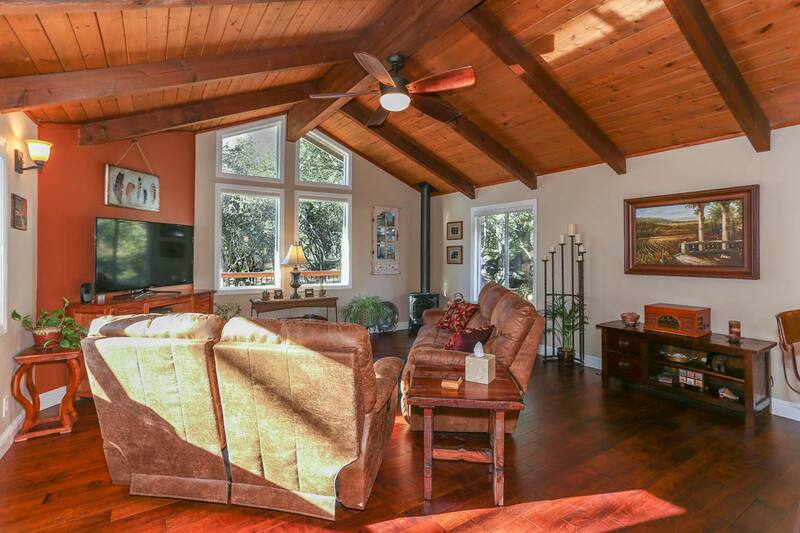 Home also features a covered porch, laundry room/pantry, beamed/vaulted ceilings in LR & Master suite, Lopi gas stove, 8 solar panels & upgraded window coverings. Recent updates also include; vinyl windows, roofing, decking, paint inside/out & more. The 800 sq. ft. redwood deck features a new 10′ quartz/stone bar w/pass-thru and is perfect for entertaining & container gardening while viewing sunsets and wildlife in a low maintenance park-like setting! Click the link to see the full listing.